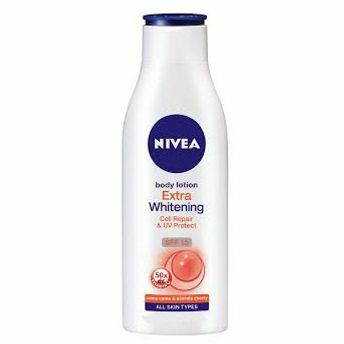 Reverse the effects of sun damage with NIVEA Extra Whitening Cell Repair Body Lotion. 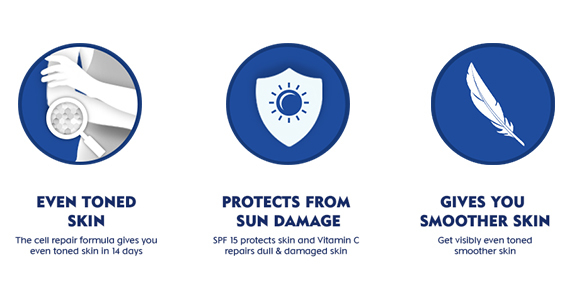 Its Vitamin C extracts and SPF 15 along with its cell repair formula gives you noticeably even toned skin within 14 days of regular usage. 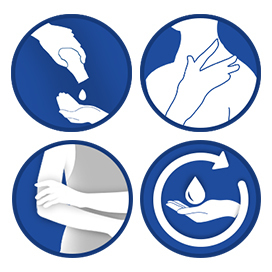 STEP 1 : Dispense the body lotion into the palm of your hand. STEP 2 : Gently massage the lotion onto your skin. STEP 3 : Apply evenly all over the body. STEP 4 : Use daily to give your skin the perfect results. 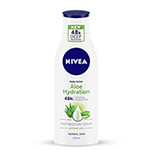 Explore the entire range of Body Sunscreen available on Nykaa. 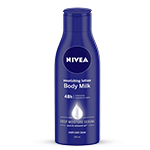 Shop more Nivea products here.You can browse through the complete world of Nivea Body Sunscreen .Alternatively, you can also find many more products from the Nivea Body Lotion Extra Whitening Cell Repair & UV Protect Vit C range.